3.7 billion-year-old living fossils (stromatolites) have recently been uncovered by a team of researchers from Department of Primary Industries, Parks, Water and Environment (DPIPWE) and the University of Tasmania in Australia. The living fossil was found deep within the Tasmanian Wilderness World Heritage Area. The discovery was made during a survey of peat-bound karstic wetlands – an unusual type of swamp which occurs only in peaty soils underlain by limestone and similar carbonate rocks. Stromatolites are laminated structures of micro-organisms which have created layers of minerals using elements dissolved in the water surrounding them. 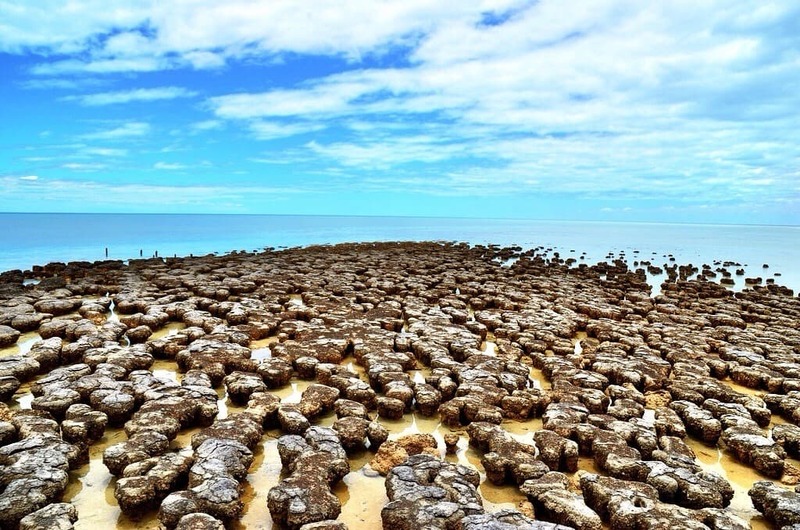 Researchers believe that the availability of mineral-rich groundwater provided an ideal environment for the development of the stromatolites and at the same time challenged other life forms like snails, which could pose a threat to them. Dead remains of freshwater snails found around the site support the claim. The discovery is particularly interesting because it is the first time that living stromatolites have been found in Tasmania. Scientists believe that the reason for their existence could be the wilderness and isolation of the wetlands in which they are found. DNA analysis of the fossils indicated that the Tasmanian stromatolites were micro-organism communities which differed from all other stromatolites found around the globe. The scientists are planning to survey other sites in the World Heritage Area to find the occurrence of similar stromatolites. Notably, these fossils are super rare and have been found only in certain parts of the world where suitable conditions are present. Some other places of their occurrence include Marine Nature Reserve, Shark Bay in Western Australia and Lagoa Salgada (a salt lake) in Brazil. Discoveries like this are only possible due to the hard work of the scientists who continue to toil for the advancement of understanding of life. The oldest known cyanobacteria fossils were found on Archaean rocks of western Australia. The ones you have mentioned are 3.5 billion years old (check here) whereas the ones mentioned in the article above are 3.7 billion years old. (check here). If you have any other doubts, please feel free to ask.